Working with TL Holland on their technology expansion has been an incredible pleasure. Their passion to make a big push to get ahead of the curve has brought the TL Holland agency into the 21st century and blown past their competition. With a brand new computer system, brand new email system, and a brand new communications system, a fully customized, modern website was absolutely in the cards. TL Holland is a full service real estate agency that provides residential sales, rentals, and commercial listings. They are an iconic small business located at Tiverton Four Corners. Being in business for the last 50 years, TL Holland has a renown reputation for being a family business that gives incredible attention to detail and personalized service to their clients. We prepared a completely custom, built from the ground up, modern website. In order to adhere to the Agency's roots, we designed a brand new logo that captures the essence of who they are by showcasing their unmistakable historic office at Tiverton Four Corners in a classic, yet sharp way. From there, the design of the rest of the site followed that mantra. We kept it clean and classic, yet crisp and easy to use with a subtle modern touch. 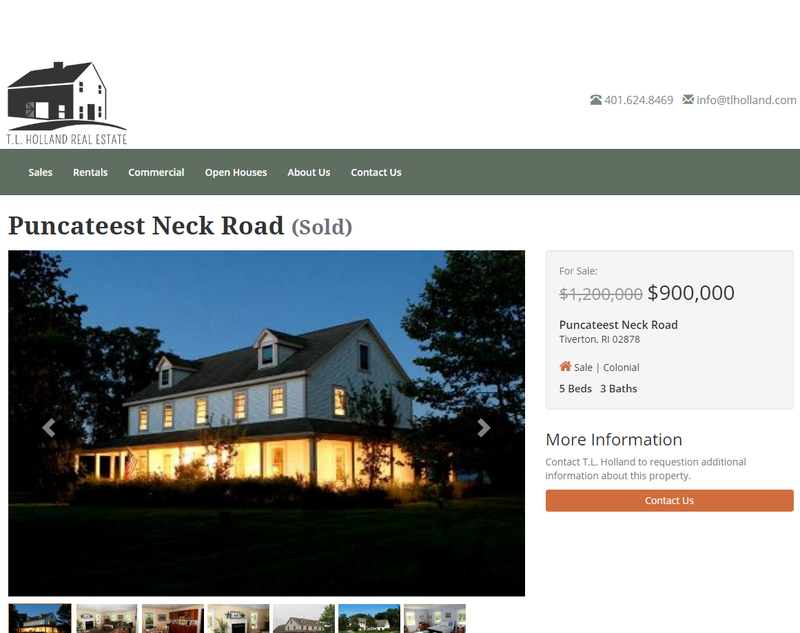 The custom design delivers a full featured listing engine for sales, rental, and commercial listings. 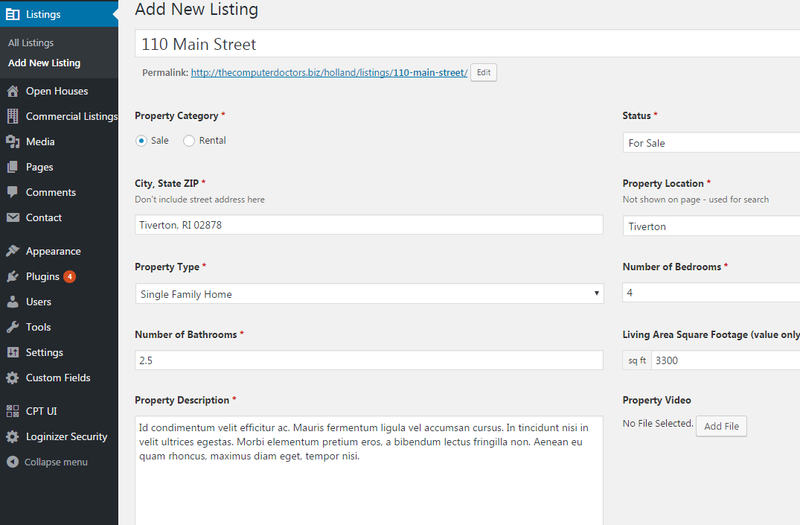 The listing engine was engineered in house completely from scratch. Viewers are able to search and filter based on many different criteria. 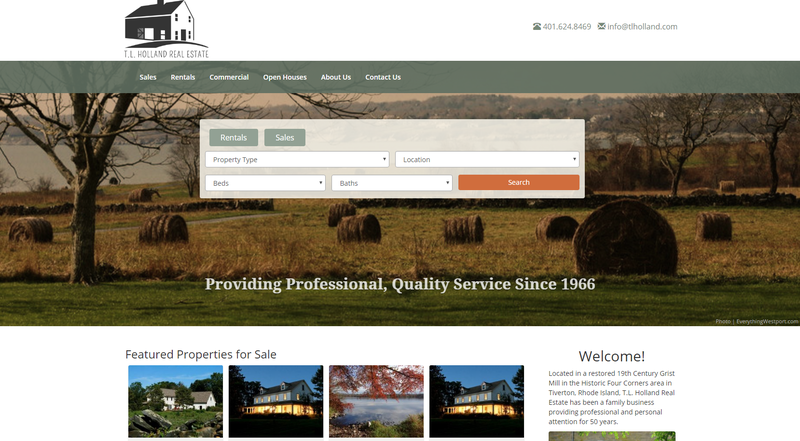 The Holland agency staff is able to login to the site and easily add and edit listings with photos and property details all without needing to know a lick of code. Everything just comes together beautifully and easily.